A group of American motoring journalists have praised the Jaguar C-XF concept car. Organised by the South East Automotive Media Organization (SEAMO), Jaguar’s C-XF concept car was voted the 2007 North American Production Preview Vehicle of the Year. According to juror Chris Poole, “The C-XF reinterprets Jaguar's traditional 'grace, space, pace' in a fresh, original new way – which is no easy task. And, all without a sign of [retrospective design]." These awards recognise vehicles that are most likely to shape the future of the automobile industry. With more than two dozen professional automotive journalists from all over North America on the jury panel, the C-XF was selected amongst 11 Production Preview Concept Vehicles that were launched in North America during the 2007 Motor Show season. 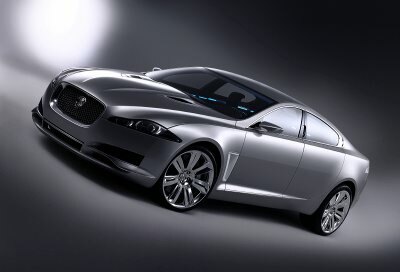 The Jaguar C-XF concept car made its debut on 7th January, 2007 at the North American International Auto Show (Detroit Motor Show) in Michigan, USA. It's a stunning four-door sedan that blends dynamic, modern features with classic heritage cues and boasts a 4.2-litre supercharged V8 engine. In January 2007, the C-XF also won AutoWeek’s Editors' Choice Award for Best in Show.